Japan is slowly coming to appreciate the herb. But to get some weed in the Land of the Rising Sun, you are going to pay a soaring cost. All around the world, people are falling in love with cannabis! In Japan, cannabis is only in the past few decades becoming more widely loved, as nationals have encountered it on trips to foreign countries, or exchange students have brought the practice home with them. Now it is estimated that 1 in 50 or about 2 million people in Japan have tried it. In Japan, the culture emphasizes hard work, dedication, education, and being part of a greater societal mechanism that works like a well-oiled machine. Such Western ideas as independence from society, taking it easy, and psychoactive recreational substances are against the grain of a culture built on the concepts of Japanese national pride and the Buddhist philosophy of striving to achieve personal perfection. Though there is a growing creative culture of art, entertainment, and excesses in larger cities, the overall society is still one that emphasizes achievement. Not surprisingly, cannabis use has taken a backseat to caffeine, alcohol, tobacco, and amphetamines. The number one illegal drug, amphetamines are popular in Asia and Japan due to the long hours and multiple jobs than many people have in order to afford the expensive prices of even common goods. For a nation on an island, the cost of living is even higher, due to the law of supply and demand. Still, any drug use is seen as a personal evil according to traditional culture. Weed is making headway in Japan, especially in recent years. It gets smuggled in from Thailand, the Philippines, Canada, New Zealand, and many other places. With such a dense population, locally grown cannabis is harder to come by and even harder to get away with. Smuggling is big business but is far from easy. Traditionally, the organized criminal element of the Yakuza-controlled all the drug trade in Japan and dealt only with amphetamines. Now, smugglers and dealers large and small have entered the black market. 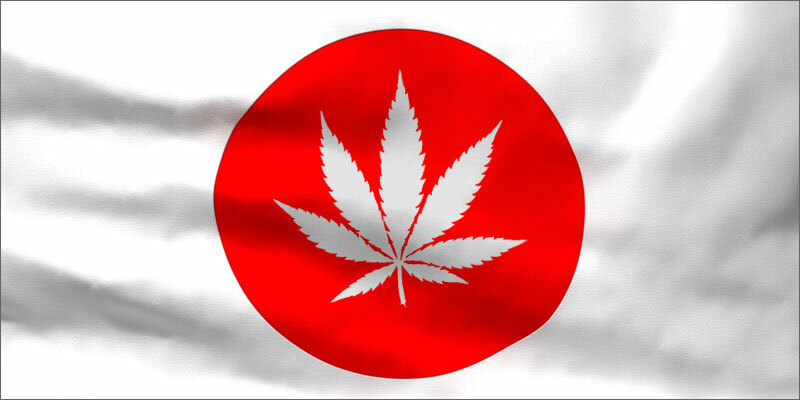 Penalties for cannabis in Japan are stiff, and with a guilty until proven innocent approach to drugs and crime, you can face a lot of issues, let alone as a foreigner. Many people visiting say that police are quite racist against non-Japanese, especially non-Asians. Under the Cannabis Control Law in Japan, even a single joint can earn you 5 years in prison with hard labor. If you are lucky, you might only get 6 months. Foreigners often avoid jail, unless caught with amounts that suggest smuggling. Instead, you will be deported and permanently barred from the country. Even records of drug charges at home can prevent you from going to Japan. Smuggling can land you 7 to 14 years or more. According to various sources, the price of weed varies but is never what you might call cheap. While the cost of cannabis in Japan may seem outrageous, the overall cost of living there is also far higher than many other countries. With such limited space and resources, expect tiny hotel rooms, expensive fast food, and costly luxuries, including weed. Have you been to Japan recently? Is the movement to legalize weed gaining traction? How much did herb cost you there? Share with us on social media or in the comments below.